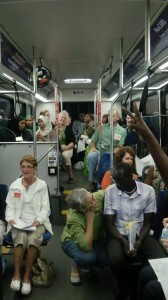 Before 2012, the city of Mankato had no organizations to help the Sudanese and Somalian refugees in its community. The Minnesota Council of Churches used rising challenges in the community as an opportunity to create the Tapestry Project. The idea began with the help of Lloyd Management, a building rental organization in Mankato. The company was finding that the refugees had a high number of building infractions and even evictions. The Mankato Department of Public Safety also found that they were receiving a large number of calls related to communication issues. With the help of the Minnesota Council of Churches, a round table was created. 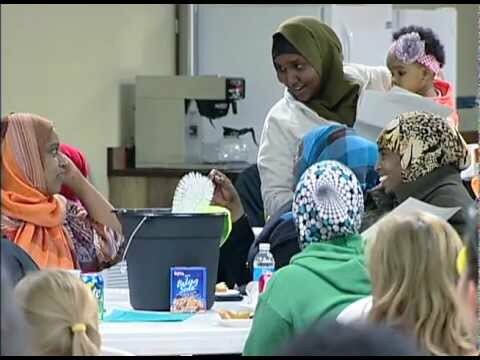 Representatives from the refugee community, Lloyd Management, the city of Mankato, local community members, and speakers met to discuss the challenges that they were facing. With help from various backgrounds, the group found that most of the issues were just misunderstandings about cultural differences. More than two years later, the Tapestry Project is still going strong. The city of Mankato has helped with a $5,000 grant in order that these meetings can continue. Through word of mouth, more representatives volunteer to meet and discuss their unique perspectives. The refugees gain knowledge about safety, cultural norms, and home maintenance; the local community gains insight into the culture of the refugees. All come away with a feeling of mutual trust. This organization has grown primarily through word of mouth. To contact leaders of the tapestry project, please email rsmankato@mnchurches.org.